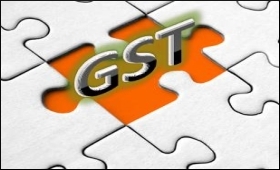 Implementation of the Goods and Services Tax (GST) has had a positive impact on the logistics of businesses, while glitches in the GSTN portal, cumbersome procedures and cost of compliance remain major areas of concern, industry body Ficci said on Sunday, citing its survey in this regard. The Federation of Indian Chambers of Commerce and Industry (Ficci) had conducted a survey on the experiences of micro, small and medium enterprises (MSMEs), as well as large corporates, on the first six months of the GST which was rolled out from July 1. "More than 60 per cent of respondents stated that their experience with respect to inter-state transportation of goods has been good in terms of check-posts," a Ficci release said here. "More than 50 per cent of respondents mentioned that goods vehicles are no longer stopped and checked at state borders, and 59 per cent respondents have cited reduction in transportation time after GST has been implemented." "Amongst the key issues faced with respect to GST implementation, the industry has highlighted glitches in GSTN portal, cumbersome procedures and documentation and cost of compliance as the major areas of concern that need to be addressed," it added. According to Ficci, all the respondents of the survey pointed out issues with the robustness and volume handling capacity of the GST portal. "Problems like delayed reflection of updated data as well as payments, delays in process of input credit set-offs, inability to upload heavy files of certain formats and lack of provision to modify or revise errors posed major challenges to businesses. "Respondents suggested that a major revamp of the portal was necessary to make it more efficient. There should be provisions for auto set-off of the liability against available credit." Monthly filing of GST returns has been cited as a "cumbersome procedure", according to the industry chamber. "Around 78 per cent of the respondents suggested that the periodicity of return filings for those taxpayers having aggregate turnover above Rs 1.5 crore should be changed from monthly to quarterly," the statement said. "For services providers, multiplicity of registrations was a concern as a separate registration is now required with every state where service is being provided." "Respondents to the survey emphasised that filing of returns be made simpler. There should also be a centralised registration for inter-state services," it added. Regarding the e-way bill, the respondents found the current limit of 10 km to be inadequate for the purpose of updating details of goods on the portal. "Respondents, especially small businesses, felt that the e-way bill need not be introduced as it was only an additional compliance requirement, as all details of sale and purchase were readily available on the portal," Ficci said. "It was suggested that the minimum limit for requirement be increased to 50 km and there be no requirement of e-way bill for movement of goods within the city limits." The survey revealed that businesses, especially exporters, faced difficulty in claiming refunds. "The mismatch between shipping bill date and tax invoice date does not allow initiating refund of Integrated GST (IGST) paid on exports. They have suggested that this condition of matching shipping bill date and tax invoice should be waived off," the industry chamber said. "Firms which supply raw materials to its SEZs (special economic zone) locations in other states are liable to GST as such a transfer is considered sales and is not getting a zero-rating benefit. "Such transfers for captive consumptions should not be charged under GST." According to most respondents, there is also need for greater clarification on the anti-profiteering provisions "to ensure that they do not lead to undue harassment".